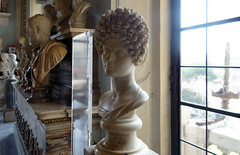 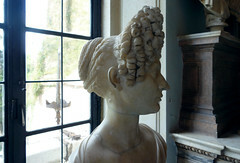 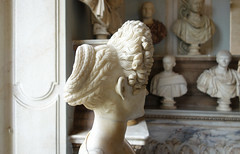 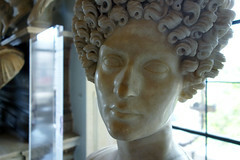 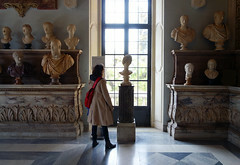 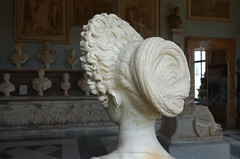 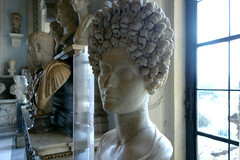 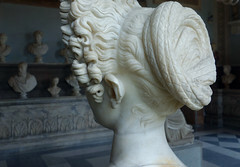 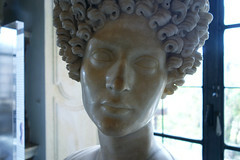 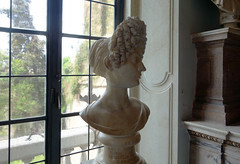 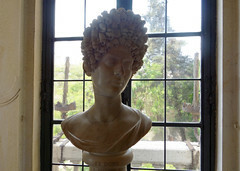 Portrait Bust of a Flavian Woman (Fonseca bust), early 2nd century C.E., marble, 63 inches high (Capitoline Museum, Rome). 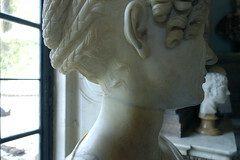 Part 1 can be watched here. 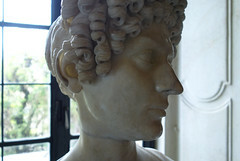 Cite this page as: Dr. Elizabeth Marlowe and Dr. Steven Zucker, "When there is no archaeological record: Portrait Bust of a Flavian Woman (Fonseca bust)," in Smarthistory, September 1, 2017, accessed April 19, 2019, https://smarthistory.org/ungrounded-portrait-bust-of-a-flavian-woman-fonseca-bust/.